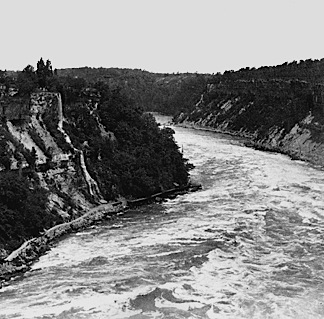 Note the width of the Whirlpool Rapids in the left photo. 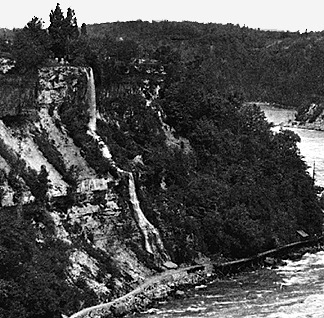 It was taken before there was a major diversion of water over Niagara Falls. The photo and enlargement are circa 1920.